Because my neighbors don't think I'm weird enough. I'm really excited about this. 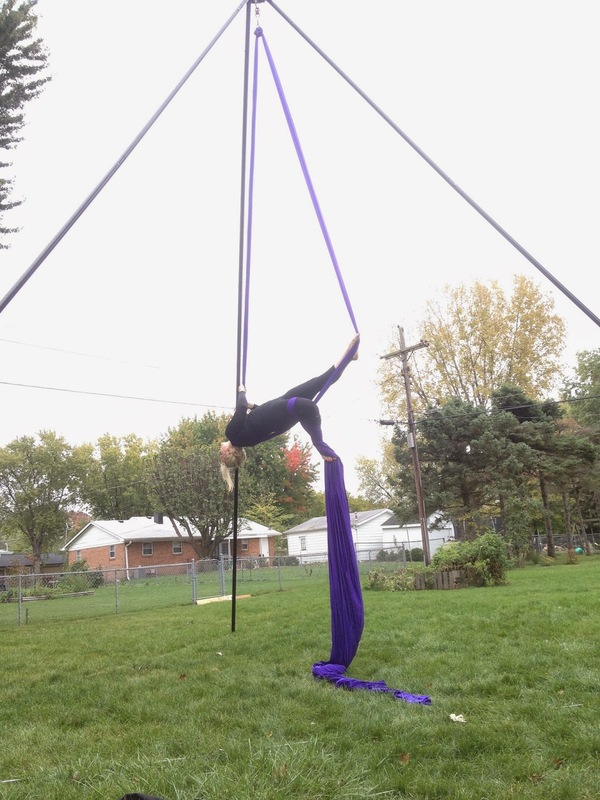 I love silks, but classes can be a bit of a wallet drain and hanging from the tree in the front yard isn't high enough. I haven't tried any drops on this yet but it seems sturdy so far. 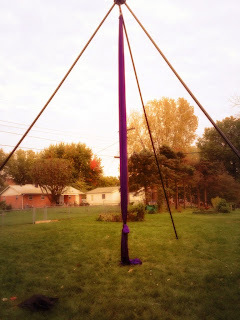 We're going to set it up for a party we're having this weekend and let (sober) people play on it. 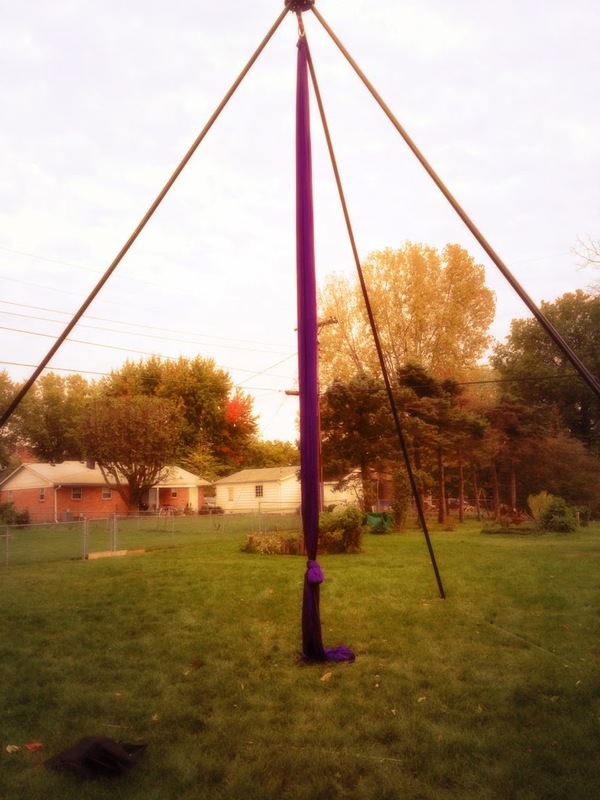 Considering half my friends take circus classes with me it should be a good time! Not Weird. Interesting and highly entertaining.